Download and Install HT Facebook Blocker on your computer(s). Keep away from distractions. Block or limit time wasters to concentrate on your work. Track activities to find a balance between work and rest and use your time most efficiently. 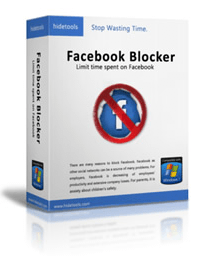 If you are looking for a way to block Facebook and other social networks, increasing productivity and limiting non-work-related activities, HT Facebook Blocker is best for you. The software assists you in managing computer usage, blocking or limiting time-wasting activities, balance your work and rest. Install HT Facebook Blocker and use your computer time most efficiently!